Located in the heavenly expanse of the Kunlun Mountains and the Himalayan Range, Ladakh is a beautiful region in Jammu and Kashmir and has gained immense popularity amongst bikers and young travellers recently. Therefore, today it can be found on the travel planner of every tourist. 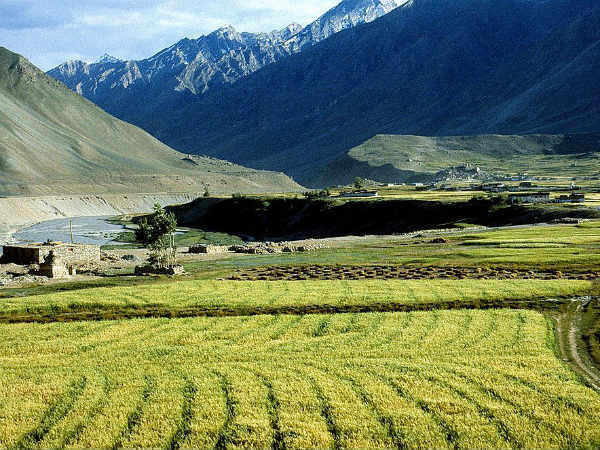 Blessed with sky-touching mountains, deep valleys, rolling meadows, beautiful farm fields and vibrant settlement, Ladakh seems like a beauty descended from heaven. Despite becoming a major tourist destination, there are several places within its boundaries which have still not found their name on the bucket list of travellers. One such place is the beautiful town of Padum. As it is known only to locals, it makes for a perfect destination where you can savour the beauty of a heavenly atmosphere. Read on to know more about this splendour of Jammu & Kashmir. On account of extreme winters, Padum experiences heavy snowfall and hence, it is not advisable to visit this unexplored beauty during the winter season, as during this period, the roads get blocked and it becomes difficult to access it. The best time to visit it is from July to September when the climatic conditions are favourable, thereby, letting its visitors roam around comfortably. Padum is a small town in the Zanskar region of Kargil district in Ladakh and is named after Padmasambhava, a Buddhist master who was born in the 8th century and was also called Guru Rinpoche. It is inhabited by a few Tibetan and Muslim families and is popular amongst locals for its nearby monasteries. Settled in the midst of a valley, it is surrounded by beautiful mountain ranges and is a perfect destination to disconnect from the busy city life. Wouldn't you love to do that? As it is unknown to many travellers, it maintains an uncrowded and unpolluted environment. If you are looking forward to finding yourself in a place where you can relish a few hours in the serenity of nature and where you can relax amid soothing environment, then Padum is an idyllic place for you. You can also get spiritual in its highly revered monasteries and learn in detail about the Buddhist culture. The major nearby monasteries include Bardan Monastery and Kursha Monastery. Isn't it a perfect mix of serenity and spirituality? If yes, then this season, Padum is your calling. It is not easy to find such amazing beauty everywhere in India. By Air: The nearest airport to Padum is located in Leh at a distance of about 440 km. Once you have reached the airport, you can hire a cab or public transport to reach Padum. By Rail: The best way to reach Padum by rail is to take a direct train to Jammu railway station, which is located at a distance of about 710 km from Padum. From the station, you can get public transport to reach Padum. By Road: Padum has a good system of roads and hence, you can easily reach Padum by means of the road. You can either hire a direct cab or catch a bus to reach this beautiful town. Most Read: Kongka Pass Near Ladakh - Where You Might Encounter Aliens!